Jencks, Charles. (1974). Le Corbusier and the Tragic View of Architecture. Cambridge, Mass: Harvard University Press. Stanishev, G. (2016). Architectural theory in monologues 1985-2015. Sofia: Iztok-Zapad. STANISHEV, Georgi; LIDIN, Konstantin. The Postmodern Condition. 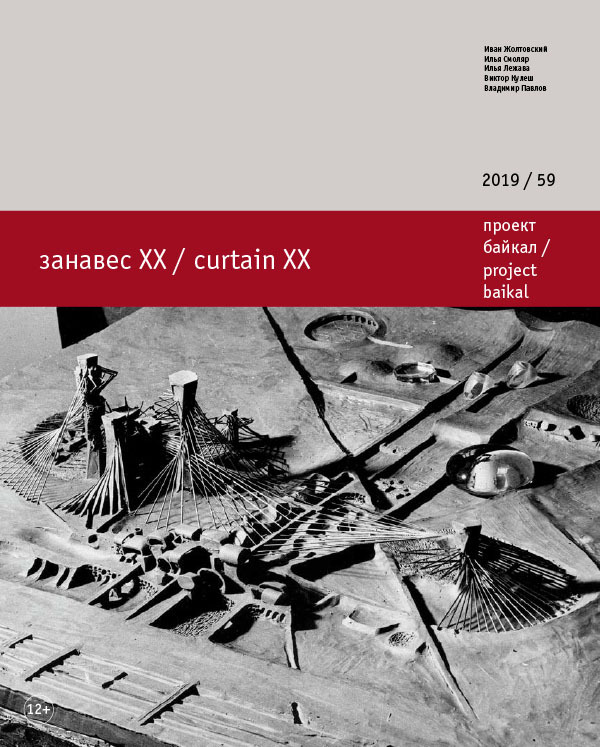 project baikal, Russian Federation, n. 59, p. 40-50, mar. 2019. ISSN 2309-3072. Available at: <http://www.projectbaikal.com/index.php/pb/article/view/1429>. Date accessed: 22 apr. 2019.